This listing is for a set of 144 reinforcement labels in kraft brown. 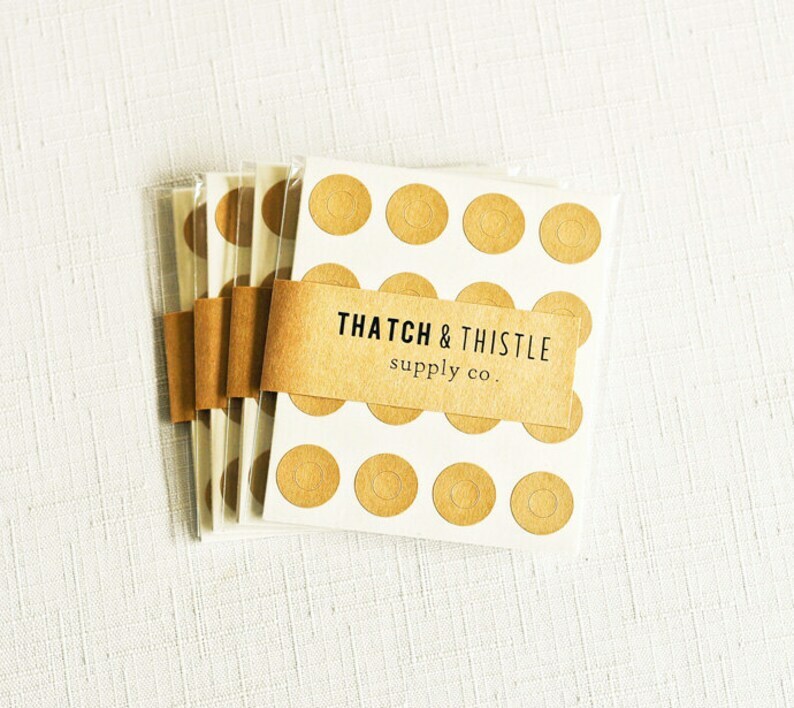 These labels are perfect for reinforcing paper for binders, hang tags, scrapbooking, card making, decorating, calendars and more! These labels measure 0.56 inch and holes measure 0.25 inch. Set comes packaged in a clear resealable envelope. Please note that reinforcement labels will arrive with the small center hole stickers as shown in the first three photos. Center pieces have been removed for the last photo to show the nature of the labels. Great reinforcement hole covers—love that it is in a kraft paper color!